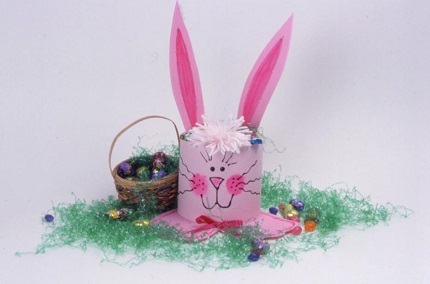 If you are looking for creative Easter decorations, go no farther than your bathroom to find some of the materials you’ll need. 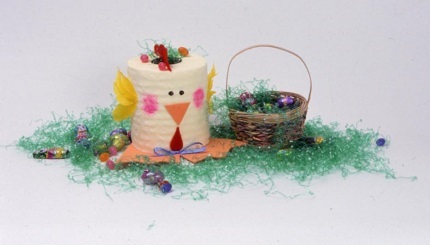 Toilet paper in pastel colors comes in handy to make bunnies, ducks and chicks. Draw faces on each roll of tissue. Cut the duck or chick beak and feet from orange construction paper. Cut ears and feet for bunny from pink construction paper. Glue ears onto bunny by spreading the paper enough to snug ears in place. Glue beaks and feet in place. Sponge paint onto feet and ears of bunny to create the appearance of fur. Push Easter grass and candies in the tube. Decorate with small flowers or pom-poms, a tied ribbon at the neck, and a hat for the duck. For more great ideas from Dian Thomas, get her Holiday Fun Year Round book, or get in on this 60% off special on Dian’s Library offer, go to www.dianthomas.com.